RE: The U.S. Department of Homeland Security proposed rulemaking to prescribe how it determines whether an alien is inadmissible to the United States under section 212(a)(4) of the Immigration and Nationality Act because he or she is likely at any time to become a public charge. Food Lifeline strongly opposes the proposed change to Public Charge Ground of Inadmissibility regulations proposed by the Department of Homeland Security to broaden criteria used in permanent resident status determinations. If passed, this rule would harm legal immigrant families and dramatically increase their likelihood of being food insecure. The proposal would give immigration authorities far reaching discretion over an unprecedented set of factors, including basic needs benefits, that when used legally could be grounds for denying legal resident status. It is unreasonable to make a legal immigrant responsible for events beyond their control and the result of the proposed rule will be a lack of fairness and cruel barrier to opportunity. Considering that approximately one in seven residents of Washington is an immigrant, and one in eight is a native-born US citizen with at least one immigrant parent, the impact of this rule change is profound. As the largest hunger relief organization in the state, we work every day to positively impact the health of people experiencing hunger, regardless of their situation. In large part, this means providing food to 300 community-based charities and programs that work with vulnerable and low-income children, adults and seniors, including those who are immigrants. From this work, we know that the rule has caused fear, confusion, and forgoing of services such as preventative healthcare, food & nutrition, or housing assistance to many who otherwise are eligible and deserving. To be clear, these benefits are legally and rightly available to immigrants should they need them and at no time should food assistance jeopardize a person’s lawful residency or citizenship. Food Lifeline urges the administration to rescind this rule. 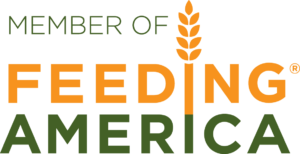 Moreover, we are calling on our partners in the hunger relief community to join us in submitting comments in objection to the rule’s implementation.